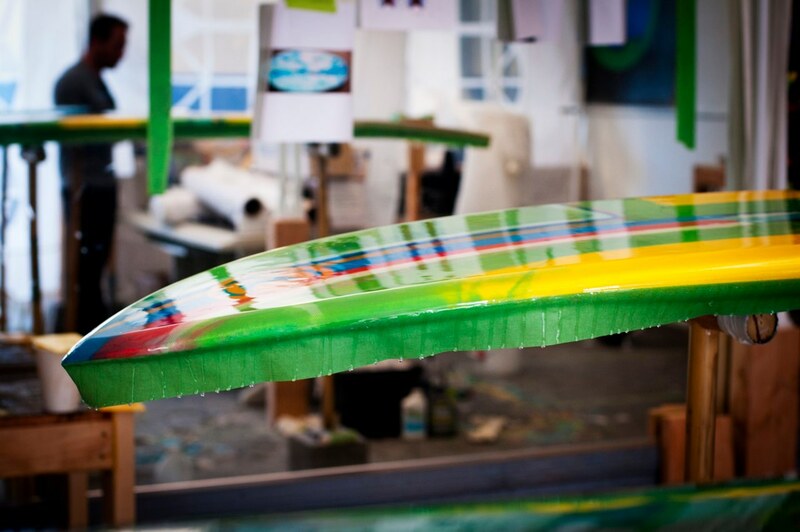 Brand Description In their California-based factory E3 custom build hand-crafted and artistic surfcraft that creates stoke in and out of the water. E3 Surf Craft operates under 3 Core “E” Principles. 2. Eco-Sustainability. We are all Mother-Lovers. 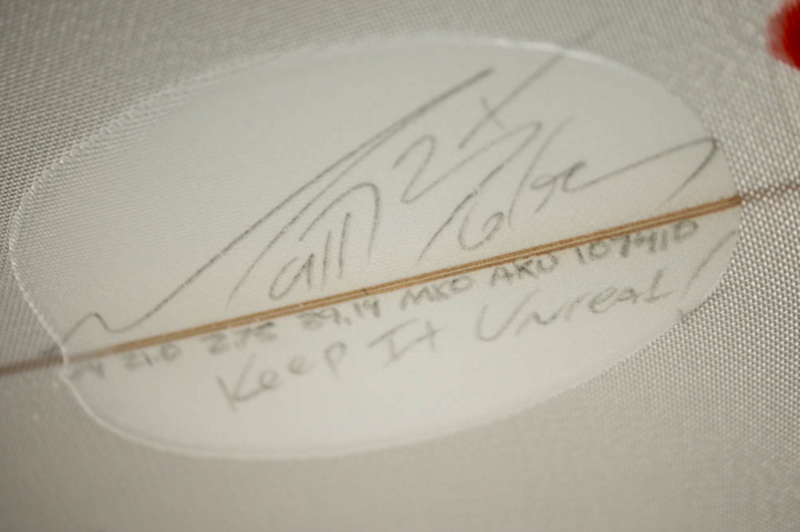 As such, over the years we’ve painstakingly tried and perfected performance board building utilizing only the most eco-friendly materials (EPS recycled blanks, bio epoxy resin, wood veneers) and processes (recycling foam blank cut offs, bio epoxy resins, etc.) 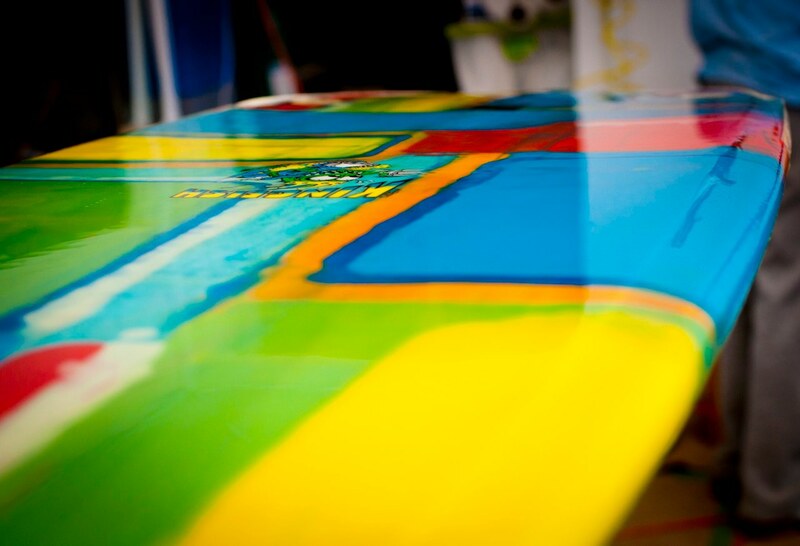 featuring our renown Earth Technologies board construction. 3. Education. In addition to being surfers, we are also story-tellers. We have made a deliberate attempt through our many communication channels (social media, website, printed board catalogs, etc.) 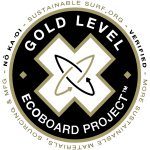 to share with others our unique eco board construction and demonstrate why there need not be a tradeoff between performance and eco-sustainability. Surfers are shedding their ‘whatever, dude’ attitude to tackle climate change and plastic pollution and to green up their sport. What’s In Your Board ? We’ve said it before – you can’t surf without surfboards (well you can, but not the board surfing variety). You can take away literally everything else – boardshorts, sunglasses, surf movies and surfing lives on. But take away the basic wave sliding vehicle, and surfing culture simply collapses. Pretty much replicating what the ancient Polynesians were riding, when surfing started to spread globally in the early 20th century, boards were made from locally grown, non-toxic materials. 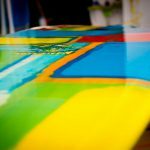 If they ever broke you could reuse or recycle the material for something else, or let it simply biodegrade quickly back into the earth where it helped to grow new surfboards. From an environmental perspective – those ancient boards were close to perfect. This is a loud wake up call for the surf community to see and discuss the problems we face, so that we can ensure a long term future for the surfing lifestyle and a pristine healthy ocean environment. 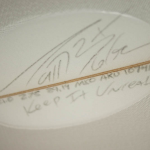 While we know that the average surfboard as an object is not the largest contributor to a typical surfer’s negative environmental impact (energy use from driving, flying & heating/cooling the home are much bigger), we at Sustainable Surf think that this conversation can be best started by focusing our attention on the most elemental and iconic object in all of surfing history; the simple Polynesian invention that started it all – the surfboard. Here is our simple vision: if we can change our surfboards to physically embody the ideals of sustainability, then we can change ourselves too. We will learn from that process, and can then apply that experience to tackle much larger issues that we confront as surfers and as simply humans (like reducing energy & water use, reducing pollutants, conserving biodiversity, etc.) If we take these steps now, we can still ensure a long, sustainable future for the culture of surfing, as well as for our amazing watery planet that makes it all possible – it’s really that simple. Fortunately, we do have the power, tools & ability to change our ways and get back to the original “sustainable spirit” of the first surfboards, without giving up any of the “performance” improvements that modern materials have given to the culture of surfing, since petrol-chemicals were first widely introduced the 1950′s. 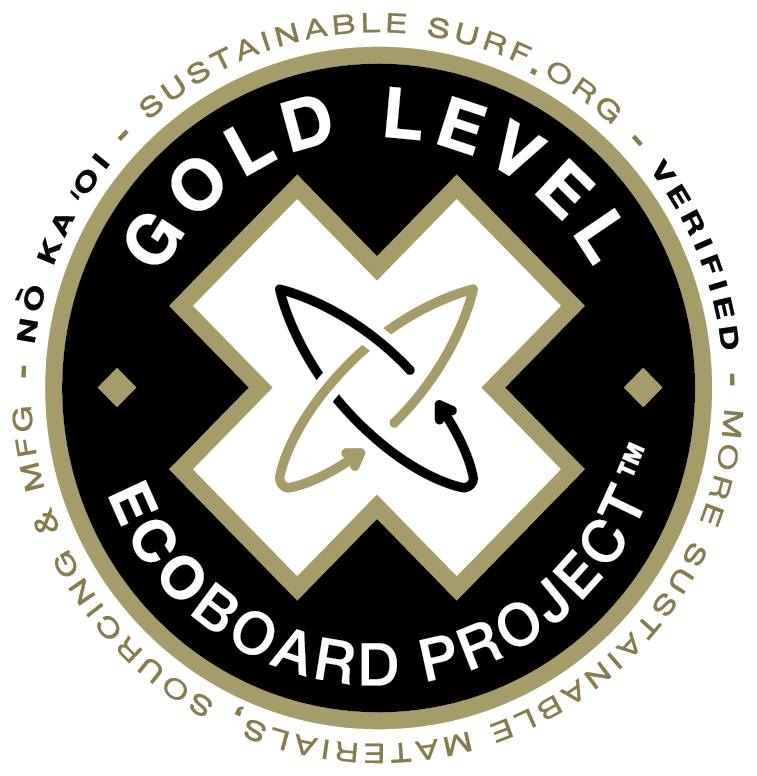 ECOBOARDS using a new generation of materials & processes have reduced carbon footprints, use (and reuse) renewable, recycled and recyclable inputs, and reduce toxicity within the surfboard manufacturing process. That’s a win for the environment, and importantly for surfers – a win for our oceans. And, believe it or not – a win for pro-surfers. That’s right, remember Slater’s win at the Volcom Pipe Pro in 2016 – Ecoboard! And Stu Kennedy taking down the world’s best at the Quiky pro – Ecoboards! 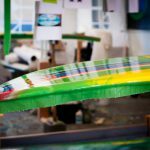 In 2016, Sustainable Surf and Pure Strategies, a leading sustainability consultancy, completed the first in-depth lifecycle study of a more sustainable surfboard. With some help from Entropy Resins, Channel Islands and Firewire Surfboards, we compared the carbon footprint of a standard “poly” surfboard (PE resin/PU blank) vs. an ECOBOARD with bio-based Entropy Resins and a recycled content Marko Foam EPS blank.